We’ve made it to the 5th chapter in the brief history of the 3D Food Printing Podcast and it’s a fun one. We find out about some top-secret project that Luis has been working on (actually it’s no secret.. just some super amazing 3DFP wizardry) that he had to deploy during a recent 3DFP demo at the Nabi Art Center in Seoul, South Korea. He was able to push through the front lines and made the event a special one. We also want to welcome Aram (new 3DC intern) and wish him lots of learning about 3D food printing design apps ahead! NASA 3DFP Challenge for KIDS! New member of the 3DC Fam –> Aram!!! 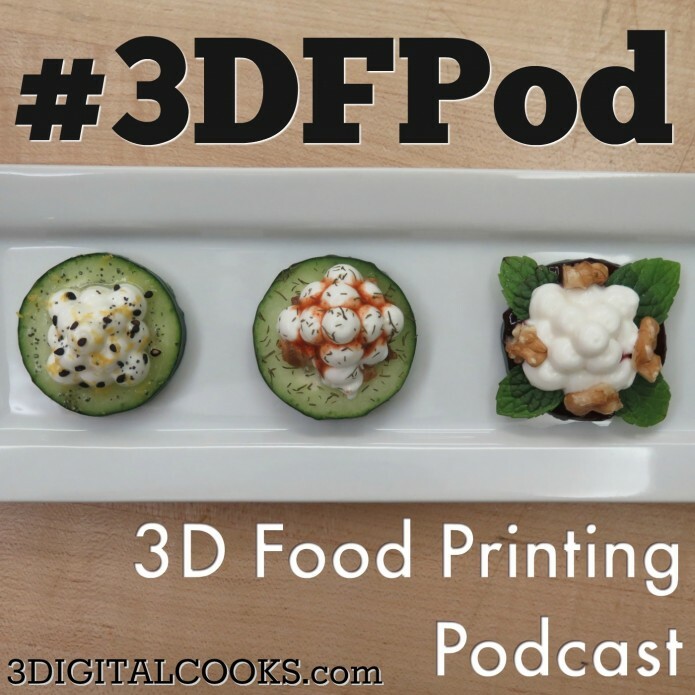 Please feel free to share the 3D Food Printing podcast with anyone who you know who will get some value out of it. We make this to help spread the gospel of 3DFP so go ahead and join us and Preach ON!